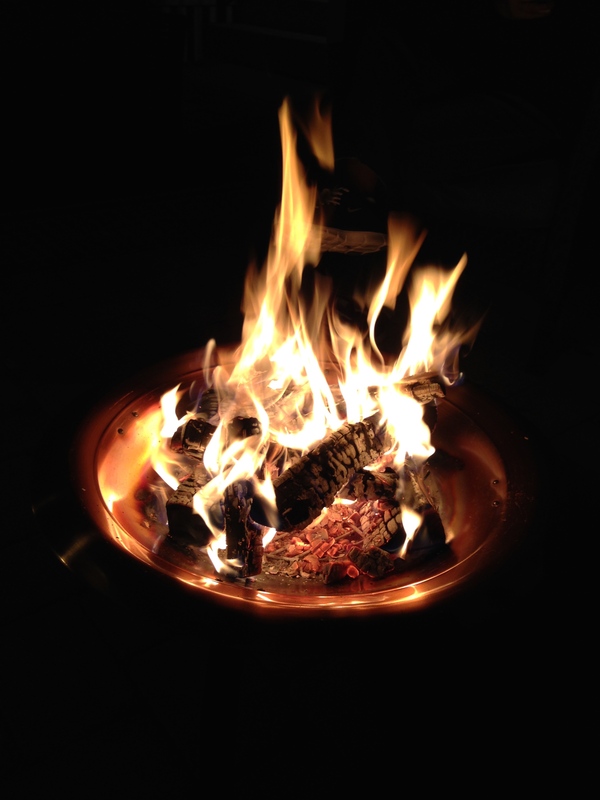 The other night, Katherine and I sat in our courtyard, beside a small fire, reflecting on our lives together, our family and children, our ministry and calling – you name it. There is something about a fire that seems to suspend all urgency, and draw us into such conversation. And yes, we listened to Christmas music as we did, while sipping on hot chocolate. As we conversed, we agreed that much of what we thought to be important many years ago in our lives was not so important after all. It wasn’t so much about regret, but of perspective. The thing is that we would not trade anything for where we are now. Fortunately God’s hand has not been thwarted by our stumbles. ‘If I had to do it over again…’ can be a dangerous statement. So can, ‘What if…’ Micromanaging our pasts and obsessing over the future only steal from the present. Unfortunately the Church hasn’t always been helpful in this area. Through the years Christians have fixated on the future to the point of madness, parsing events and people, while attempting to fit them into a sensationalized ‘end times’ blockbuster movie-type scenario. Authors have raked in millions, feeding off the fears and frenzy of ‘end times’ enthusiasts. The gospel works because of this. It enables us to find fresh hope in the moment – Today. Only our regrets and fear of the future will rob us of enjoying God’s grand design for our lives in the present. Within weeks we will read and recite the beautiful announcement, ‘Today, in the city of David, a Savior has been born…’ This is the refrain we find throughout the scriptures – it is all so present tense! In fact, you would be hard pressed to find a single instance in Jesus’ ministry, in which He dwelled on the pasts of the people He encountered. Other than opening one woman’s eyes to His ability to see through her defenses, He never drudged up incidents and failures of the people He healed and consoled. He was all about the moment. This was no accident. It was His announcement that with the Father there is grace to continue on with the journey, in spite of our pasts that are speckled with failures, poor decisions and regrets, as well as with the future unknown. Settle this in your minds and hearts, friends: Regret over the past and Anxiety over the future are not on the Father’s radar. Loved this!! Thanks for posting!! You are currently reading Now at unfinished1.